Highest storage capacity ranging from 2 to 60 bays and support of 1 to 100 HD cameras with easy coverage expansion by the addition of a NETGEAR PoE switch for distant deployment. Experience the best data retention with ReadyNAS 5 levels of data protection and hybrid remote NAS and Cloud backup. 40 years of combined surveillance software and networking experience. One stop 5-year support. ReadyNAS, Your data. Your business. Protected. 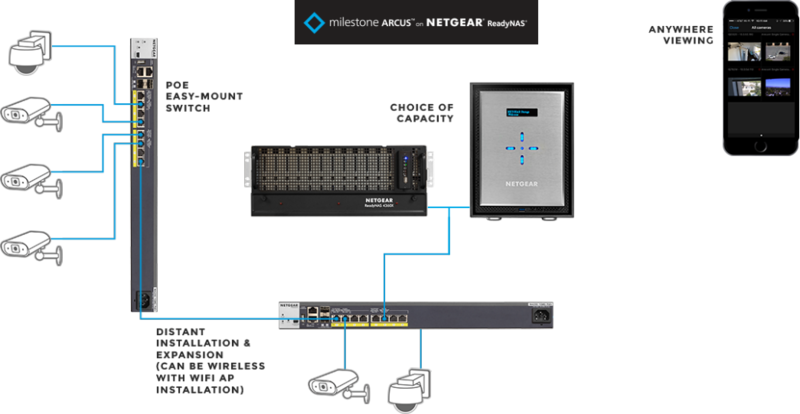 Download the NETGEAR Milestone Arcus on ReadyNAS Datasheet (PDF).